Tween Tuesday is a weekly meme to highlight great reads for tweens-because tweens need reading love too! 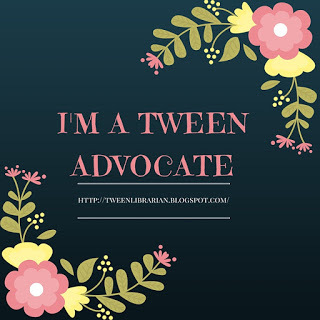 :) Add your own Tween Tuesday's post link in the comments below. About the Book: Jane, Mark, Katharine, and Martha wish they could have an adventure like the ones they read about. The children find a coin that they soon discover grants their wishes-but only with half magic, which means the wish granter will receive half of what they wish for. Soon the children find themselves on all sorts of adventures! GreenBeanTeenQueen Says: I have to say thank you to Betsy Bird and her Top 100 Children's Book Poll for introducing me to this book. I wasn't familiar with this one, but the idea sounded cute and we had the audiobook at my library (and it was only 3 1/2 hours!). I was so charmed by this book! It's an older book that I can see why it's stood the test of time. Even though it's set in the 1920's, I thought the story had a timeless quality to it. I think today's readers would love it. I especially loved the humor in this book-it's sly and subtle at times, but it's so fun! There were also plenty of fun adventures, and the adventures varied, so there's something for every reader. 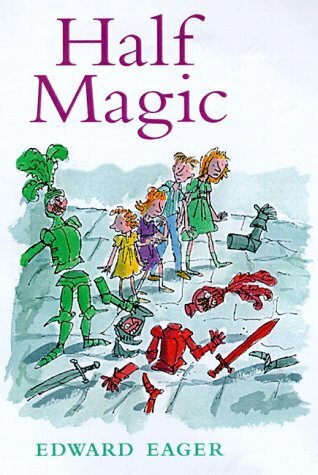 It would also be a good introduction to fantasy for younger readers and would be a great family read aloud. After finishing this one, I immediately told Mr. GreenBeanSexyMan he needed to read it. This is a classic that deserves a spot on every reader's shelf! Oh gosh, I'm assuming you haven't read Eager's other books--lucky you to have them still to come! Kinght's Castle is a favorite of mine, as is Seven Day Magic. Charlotte-I haven't read the others yet, but I'm looking forward to it. This one was just so much fun! I too hadn't heard of this book before. It looks like a good book for my tween cousin. I haven't heard of this book before, but now I'm intrigued (especially since I just made a list of books set in the 20s). I posted my own Tween Tuesday here. I reviewed Dark Life by Kat Falls today and I think that may be a good tween read too. Great review btw. I'll have to read the book. I LOVE THIS BOOK!! And his other magic books. They are awesome. Sounds like a really cute book. It's cool when I book can withstand the test of time like that! Yay, Edward Eager! I think you're right about his books standing the test of time; I was born in the 80s and I loved them. I still remember the cat that went "sick, sick, sick." Hee.